The Star Wars Rebels action figure line has been largely populated by re-issued toys that don’t have any real connection to the cartoon airing on DisneyXD. 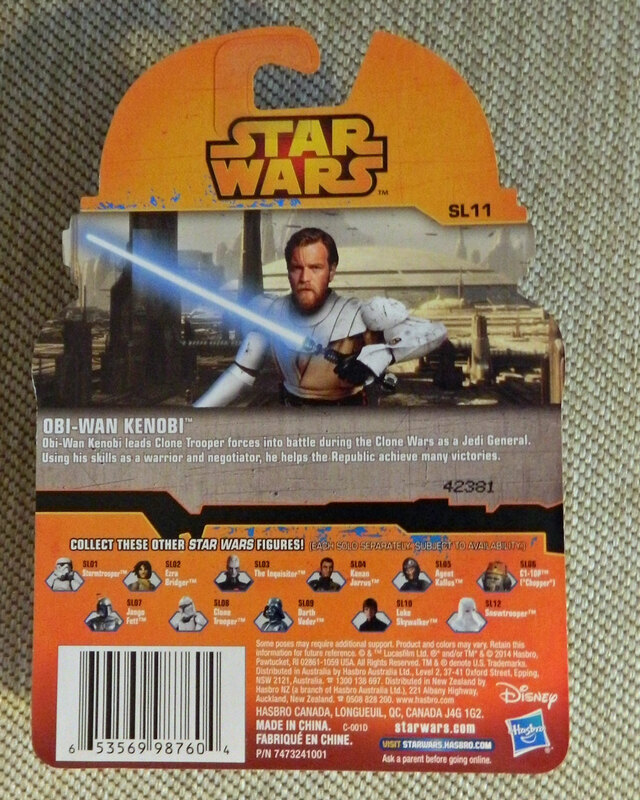 The Obi-Wan Kenobi figure was first released earlier in 2014 in Saga Legends packaging, and it wasn’t very popular with collectors. 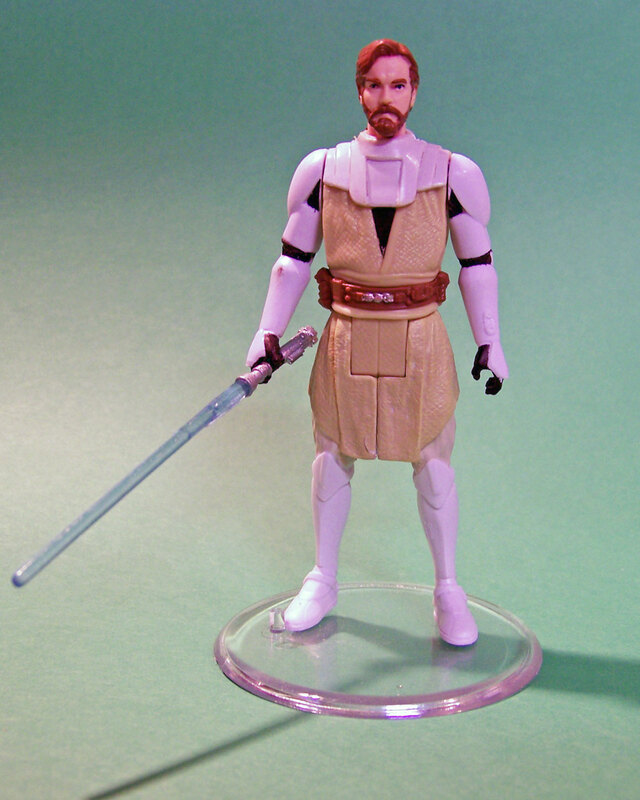 Sporting just five points of articulation and a simplified paint scheme, this version of Obi-Wan is universally agreed to be inferior to the Vintage Collection version Hasbro released in 2012. 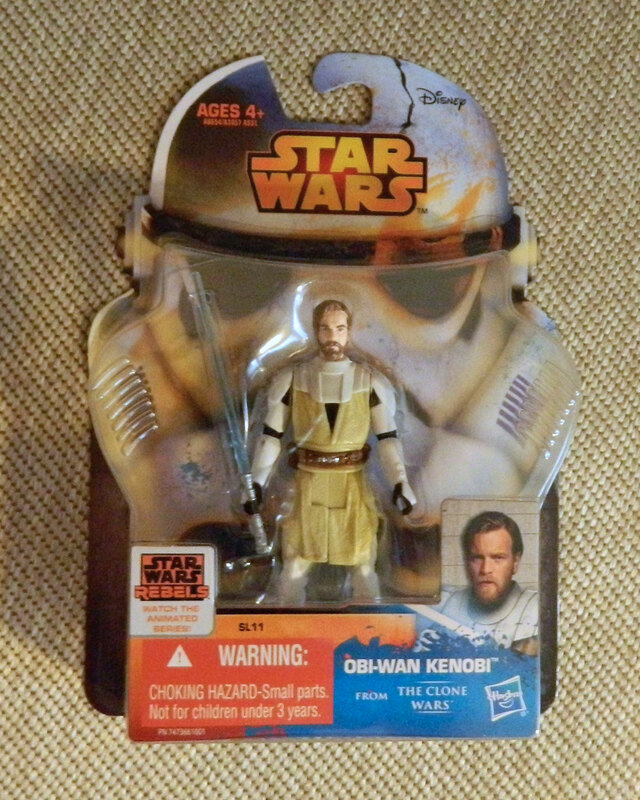 However, I see one redeeming feature – the Rebels version of a realistic-style General Kenobi from The Clone Wars movie is more affordable. The Vintage Collection version will run in the neighborhood of $25 if you track it down, while you can probably still pick this one up at retail price. 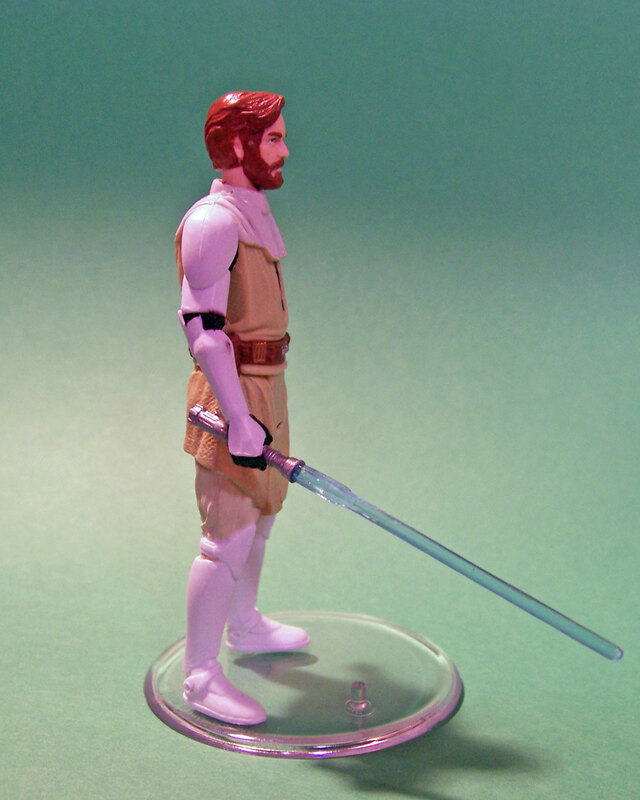 I also find some charm in Obi-Wan’s neutral pose and limited articulation. As someone who grew up with Kenner’s original Star Wars line in the 1980s, this figure – and all of the others I’ve purchased from the Rebels collection – feel like spiritual successors. I appreciate the amount of articulation and poseability that figures like Ahsoka have, but Obi-Wan seems more like a toy to play with. I remember having enough imagination to have adventures with my original figures and never really gave their lack of articulation a thought – as long as they could stand on their own feet and fit in the cockpits of the ships they were supposed to fly, it was all good. 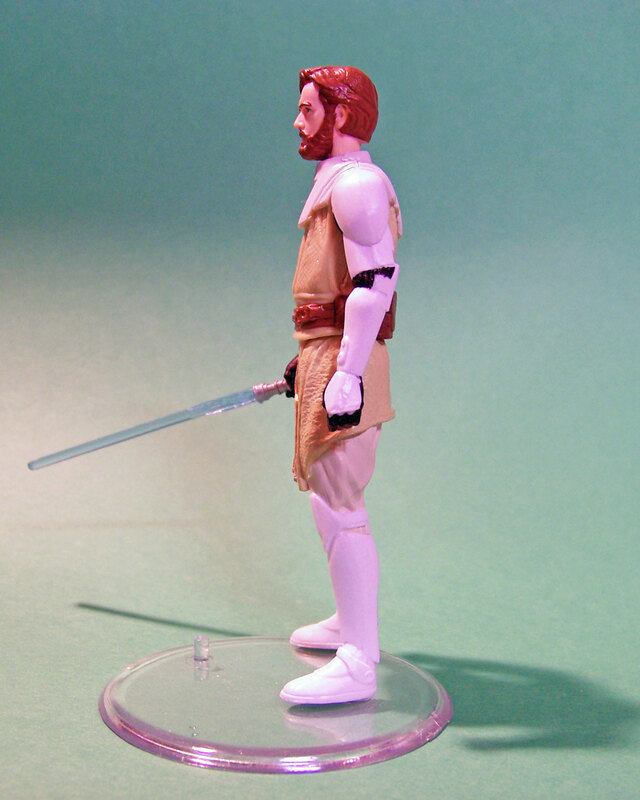 That said, this version of Obi-Wan is not great if you want to create a dynamic display on your shelf. This is about the most exciting pose I could put him in, and it’s relying fairly heavily on camera angle for effect. 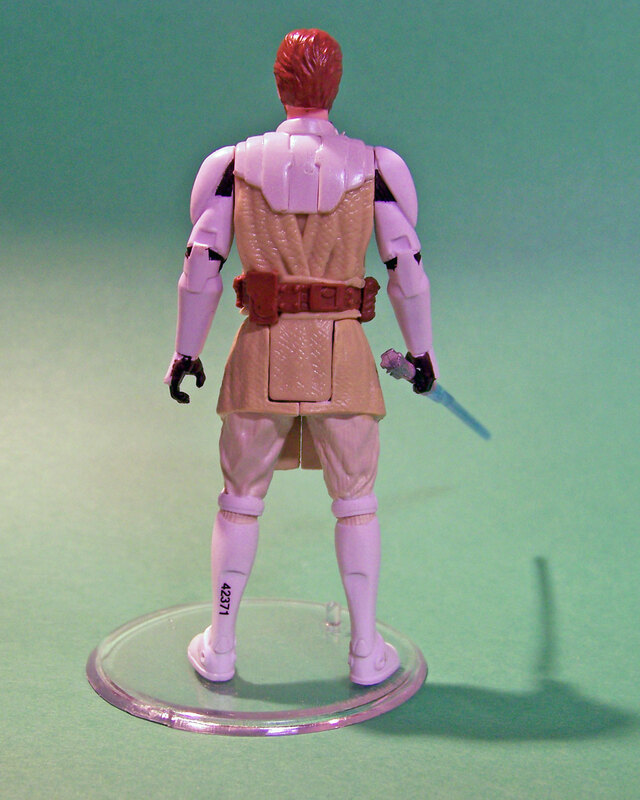 The simplification of the paint scheme is not something I’m quite so prepared to forgive – Hasbro omitted the Republic symbol on Obi-Wan’s shoulder armor and the black detailing on Obi-Wan’s boots, and changed his pants from black to tan. There are also some sloppy paint issues with my particular figure: a stray black mark on Obi-Wan’s right forearm and a spot along his hairline that was missed. Obi-Wan will probably get to hang out on my desk and be one of the toys I actually “play” with, but I think I will look for the Vintage Collection version at some point down the line.